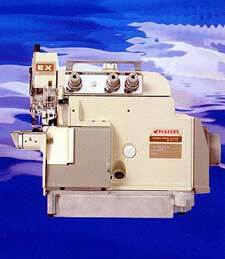 Further search for ease of operation has added cylinderbed type machine for sewing cylindrical goods to the EX Series. The circumference of the cylinderbed is only 148mm. The new type of cylinderbed overedgers includes all the features of the celebrated EX Series.  Sews small cylindrical goods smoothly such as hemming sleeves on T-shirts or children's wear. In addition, there is no obstacle around the cylinderbed, provideing a 10mm space to the right of the needle drop. This ensures easy installation of various kinds of equipment, thus producing quality products. The feautures of the variable top feed machines have been also added. The EXT5100 Series that adopts the independently driven top feed mechanism allows the machines to obtain latger differential feed ratio than the conventional EX/EXT Series, dramatically increasing the feeding efficiency. This feature lengthens the effective distance of the top feed dog, thus feeding the fabric accurately and straightly to produce a beautifully finished hem. 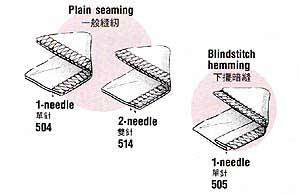 Prevents fabric misalignment which tends to occure in the cross seam sections of blindstitch hemming operation. 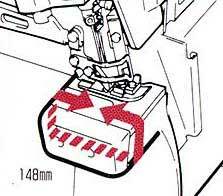 The sensor detects the cross seam sections to automatically slide the hemming guide and keep the fabric from misaligning. Operators concentrate on their operations. Stretches the rib knit fabric according to the diameter of the body, so that you can attach rib knit fabrics uniformly to neck openings, bottoms, cuffs of training wear, sports wear, etc.